Sardinians took the mountains to escape centuries of invaders keen to make the beautiful island their home. To them the sea meant problems and so they moved inland to green pastures and safe and comforting mountains. This isolation and resulting diet is, probably, the reason for the inhabitant’s longevity – in fact, they are second only to Costa Rica in the longevity stakes. 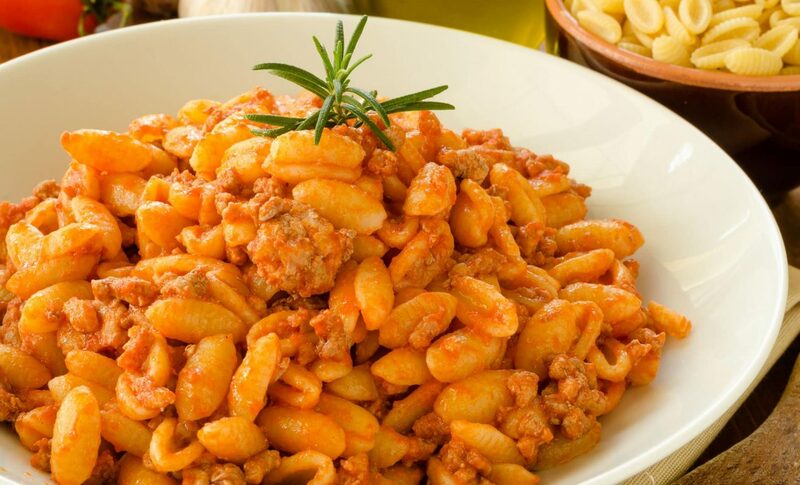 Whilst seafood does play a part in the Sardinian culinary tradition, it is the food derived from the land that is beloved and meat, cheese, bread and pasta it’s backbone. 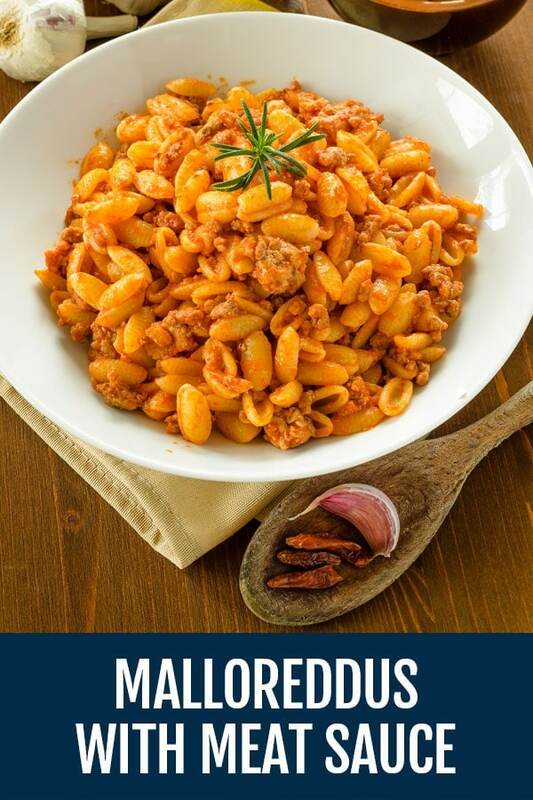 Malloreddus is a small Sardinian ridged pasta, often flavoured with saffron is typically Sardinian and available in most speciality stores nowadays. 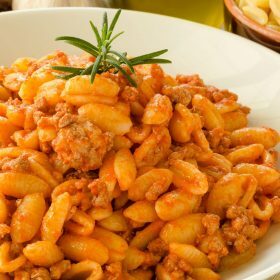 A traditional Sardinian type of pasta, these gnocchetti are eaten with meat sauce. Mash garlic and pepper into a paste in a pestle and mortar and stir in the vinegar to make a liquid. Put the pork and the pancetta in a bowl and toss the pork in the marinade until well mixed, cover it with cling wrap and put in the fridge for 6 hours, turning occasionally to ensure that everything is covered with the marinade. Brown the pork and the pancetta in a heavy based saucepan for 5 minutes, add the red wine to deglaze the pan and then add the sun-dried tomatoes, the tomato paste and the sage, add the chicken stock and simmer for about 30 – 40 minutes. 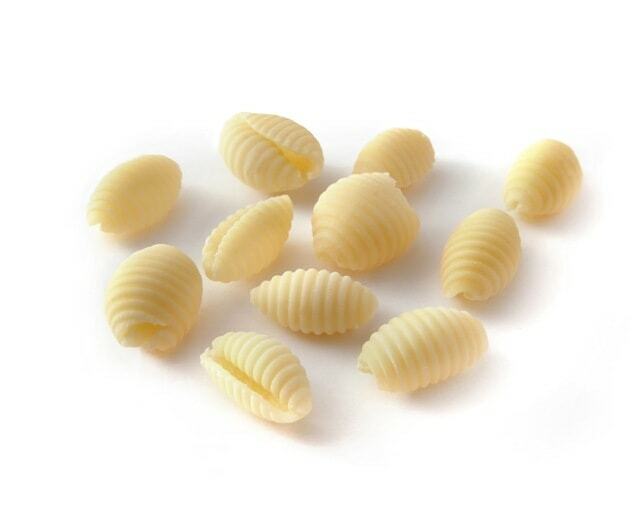 Boil the malloreddus in plenty of salted water until al dente and toss the pasta in the sauce. Check and correct the seasoning and serve with loads of the pecorino cheese and extra olive oil.